Wireless Innovations is looking for Business to Business wireless Value Added Resellers. Don’t wait become a Wireless Innovations Partner today! Over the past 10 years, Wireless Innovations has differentiated ourselves in the wireless industry by partnering with innovative, trusted, technology driven companies. These partners work seamlessly with Wireless Innovations creating innovative, productivity enhancing solutions. Sprint Nextel offers a comprehensive range of wireless and wireline communications services bringing the freedom of mobility to consumers, businesses and government users. 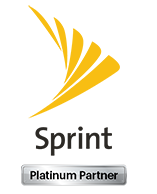 Sprint Nextel served more than 48.8 million customers at the end of the third quarter of 2010 and is widely recognized for developing, engineering and deploying innovative technologies, including the first wireless 4G service from a national carrier in the United States; offering industry-leading mobile data services, leading prepaid brands including Virgin Mobile USA, Boost Mobile, Common Cents Mobile and Assurance Wireless; instant national and international push-to-talk capabilities; and a global Tier 1 Internet backbone. Newsweek ranked Sprint No. 6 in its 2010 Green Rankings, listing it as one of the nation’s greenest companies, the highest of any telecommunications company. A leader in wireless and mobility solutions, AirWatch helps simplify enterprise mobility. AirWatch enables organizations across a wide variety of industries to secure, monitor, manage and support their entire fleet of mobile assets with cutting-edge mobile device management technology. Our solutions are simple to deploy, use and scale across any enterprise. Ariba, Inc. is the leading provider of collaborative business commerce solutions. Ariba enables more efficient and effective buying, selling, and cash management by combining industry-leading software as a service (SaaS) commerce technology with the world's largest web-based global trading community and expert capabilities and services to augment internal resources and skills – all as a flexible, cloud-based service. The Ariba® Commerce Cloud™ delivers everything needed to control costs, increase sales, minimize risk, and enhance cash flow and operations. More than 340,000 companies, including over 80 percent of the Fortune 100, use Ariba's solutions to drive more efficient and effective inter-enterprise commerce. Why not join them? ComServe, a national communications service and management company has been serving the needs of many industries throughout the nation and beyond since 1994. We currently work in the areas of healthcare, public safety, education, emergency services, government services, and select business enterprises. We are a privately held company with a friendly and knowledgeable staff. Our management can help you sift through your telecommunication challenges and offer cost effective solutions. Our customer service representatives are on hand to help with paging and cellular activations, customer billing inquiries and payment options, changes in service, and equipment repair. ComServe also specializes in telecom expense management services, saving companies thousands of dollars monthly by keeping their cellular, paging, and other service charges under control. EchoSat Communications Group is a leading provider of communication services to large and small businesses throughout the United States. From their national headquarters in Lexington, KY, EchoSat provides merchants and retailers with a ?worry free? managed solution which gives them the ability to realize huge transaction savings and improve customer service with their industry leading Secure Payments Gatewaysm (SPG). EchoSat?s SPG is selected when merchants and retailers value monitoring and analysis of their financial connectivity, want to have the ability to reach a Help Desk professional 24X7, need engineering strength specific to communications, desire a company that is credit network processor independent, or have the need for multiple dial-up devices to operate over a common high speed Internet backbone. Good Technology is the leader in multiplatform enterprise mobility, combining a great user experience with the tools IT needs to manage and protect your mobile enterprise, all through a straightforward web-based management console. Good for Enterprise and Good for Government deliver mobile security and control that allows IT to protect the enterprise and end users to connect and collaborate on their device of choice. Good for You offers carriers and device makers a flexible, extensible platform for mobile messaging, social networking, and media delivery so they can deliver an exceptional and truly differentiated experience to their users. Good makes it easy for end users to connect and collaborate, whenever and wherever they want, on their device of choice. HCL Enterprise is a 34-year-old leading Global Technology and IT enterprise, with USD 5.5 billion revenue, 77000 professionals and operations spanning 29 countries. The 3-decade-old enterprise, founded in 1976, is one of India's original IT garage startups. Its range of offerings spans Product Engineering, Custom & Package Applications, Business Process Outsourcing, IT Infrastructure Services, IT Hardware, Systems Integration, and distribution of ICT products. Since i ts inception, HCL Enterprise has grown to become what it is today under the strong leadership and guidance of Shiv Nadar (Founder, Chairman and Chief Strategy Officer). HCL Enterprise comprises two companies listed in India, namely HCL Infosystems (www.hclinfosystems.in) and HCL Technologies (www.hcltech.com). HCL Infosystems deals with hardware, system integration, network and ICT distribution, solely for the Indian market. HCL Technologies on the other hand, focuses on Transformational Outsourcing, working with clients in areas that impact and re-define the core of their business. The company leverages an extensive global offshore infrastructure and its global network of offices in 29 countries to deliver solutions across select verticals including Financial Services, Retail & Consumer, Life Sciences & Healthcare, Hi-Tech & Manufacturing, Telecom and Media & Entertainment (M&E). HCL Technologies caters to the global market in areas like product engineering, research & development, enterprise & custom applications, infrastructure management, and Business Services. Heartland Payment Systems, Inc. (NYSE: HPY), the fifth largest payments processor in the United States, delivers credit/debit/prepaid card processing, gift marketing and loyalty programs, payroll, check management and related business solutions to more than 250,000 business locations nationwide. A FORTUNE 1000 company, Heartland is the founding supporter of The Merchant Bill of Rights, a public advocacy initiative that educates merchants about fair credit and debit card processing practices. The company is also a leader in the development of end-to-end encryption technology designed to protect cardholder data, rendering it useless to cybercriminals. IOCOM provides software to keep people connected through video, data and audio conferencing. Its trusted solutions work with virtually any Internet-enabled device, including room systems, PCs, laptops and mobile devices. IOCOM’s focus is on delivering the high performance necessary for smooth audio and video without the cost and complexity of bulkier, proprietary systems. Fortune 500 companies, government and education institutions, researchers, skilled workers, and general consumers currently rely on IOCOM’s solutions. Our vision is to mobilize enterprises worldwide. Wireless data acts as a catalyst for growth to countless organizations. With support from MCW, long-term wireless success is inevitable. We pride ourselves on our industry expertise, superior customer service and overall corporate culture. NSGDatacom is a privately owned company, incorporated in Maryland, USA, with offices in Virginia, Maryland, and England. The company develops, manufactures, markets and supports industry leading, carrier quality voice and data communication products for wire-line and wireless networks. Using technology obtained through strategic acquisitions and from internal development, we provide solutions that are reliable, innovative, cost effective, and flexible. We are entrusted to transmit critical data in corporate, airport, financial, government, military, carrier, satellite, and cellular networks worldwide. NSGDatacom also has a solid reputation for providing unparalleled network design, implementation and post-sales support. VisTracks is a powerful cloud based monitoring and tracking platform that has many applications which can utilize a wide array of hardware options to adapt to customer specifications for multiple verticals and provide a more flexible, lower cost, Sprint-billed M2M solution. CradlePoint is the leading provider of 4G/3G network router solutions providing business-grade, secure connectivity from 4G and 3G networks to distributed enterprise, small business and mobile consumers. CradlePoint solutions are optimized to provide the highest level of wireless performance and provide management services to ensure the highest level of network uptime. CradlePoint is a privately held company with headquarters in Boise, Idaho. For more than 26 years, Dell has empowered countries, communities, customers and people everywhere to use technology to realize their dreams. Customers trust us to deliver technology solutions that help them do and achieve more, whether they’re at home, work, school or anywhere in their world. Learn more about our story, purpose and people behind our customer-centric approach. Intermec has foreseen the opportunities – and delivered the resources and products – which have helped transform a whole range of industries, from retail to field service, from warehousing to manufacturing. For more than 40 years, we have invented technologies and created comprehensive rugged mobile business solutions that have enabled our customers to manage, operate, and monetize their complex businesses in completely new ways. At Motorola Mobility, we’re breaking through the barriers that separate people from the things they love. We’re designing technology that connects seamlessly so consumers have the best content at their fingertips, every second of every day. TV, talk, text, email and web surfing – we’re putting people at the center of it all. It’s what we call a Motorola Powered future and we’re making the devices that do more, so people can do more. Nexaira’s routing solutions are simple to install yet provide the advanced management and business class features demanded by the most sophisticated users. Nexaira’s wireless devices are ideal for secure high availability applications acting as the primary router for wireless, DSL, or cable networks or can be used to provide complete device and network redundancy in wide area network-failover/ fail back applications. For more than 50 years, Panasonic has delighted American consumers with innovations for the home and business. Panasonic's consumer electronics and technology products range from award-winning VIERA High Definition Plasma and LCD TVs and LUMIX Digital Cameras to ruggedized Toughbook® laptop computers, communications solutions, networkable office solutions, security systems, home appliances, personal care products, components and entire in-flight entertainment and information systems. Research In Motion (RIM) develops integrated hardware, software and services that support multiple wireless networks. RIM is best known for creating the BlackBerry® smartphone and providing solutions that allow seamless, mobile access to time-sensitive information through email, phone, text messages, the Internet and applications. Samsung SDS America, Inc. (Samsung SDSA) is one of eight regional headquarters representing Samsung SDS Ltd. Co. (Samsung SDS) in the global market. Samsung SDS America is a leading information and communication technology (ICT) solution provider with broad experience serving both enterprise and public sector customers globally. Thanks in large part to the solutions we’ve built for the diverse set of Samsung group affiliates, SDS solutions are utilized today by customers across a broad range of industries. These solutions center on enterprise mobility, security, collaboration, analytics, biometrics, and more. Sierra Wireless is expanding the wireless world with a comprehensive offering of hardware, software, and connected services for mobile lifestyles and machine-to-machine communications. Our customers count on us to help them succeed with innovative, reliable, high-performing solutions and early access to new wireless technologies.